Packs a punch, but with less recoil. With features like a polymer tip and Interlock® ring, the Super Shock Tip delivers tremendous shock on impact while expanding quickly and reliably. All with less recoil and muzzle blast to make shooting easier on you…41% less recoil compared to standard 120-grain loads! 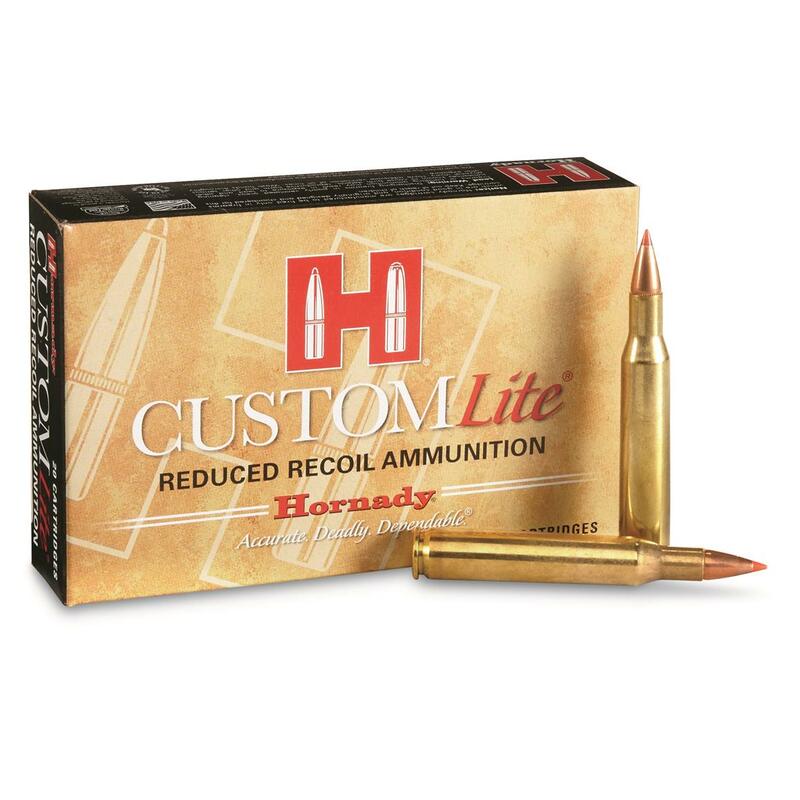 Take it easy…and get your CustomLite® ammo today! 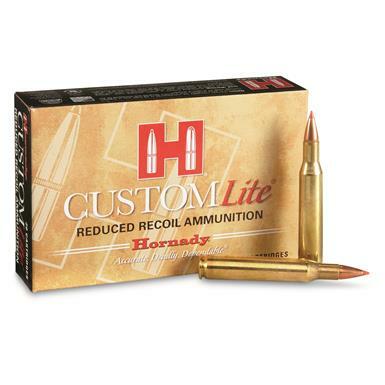 Hornady CustomLite, .270 Winchester, SST, 120 Grain, 20 Rounds is rated 5.0 out of 5 by 5. Rated 5 out of 5 by Joe 2018 from Reduce felt recoil and group nice Reduce recoil felt in my TC encore Pistol. Group well and will be using on a Springbok slam hunt in Africa. Rated 5 out of 5 by LokiWasHere from Great performance I have been shooting these bullets for 2 yrs now and I'm very satisfied with the way they perform on my hunting trips. If your looking for a low recoil and good performance ammo, I would highly recommend these to beginners and avid hunters. Rated 5 out of 5 by Bob29 from Good Price Haven't used them but the price was definitely good! Rated 5 out of 5 by The captain from Sweet point in ammo If you are hunting medium game at less than 200yrds this is great very accurate sufficiently hard hitting round that is a pleasure to shoot. 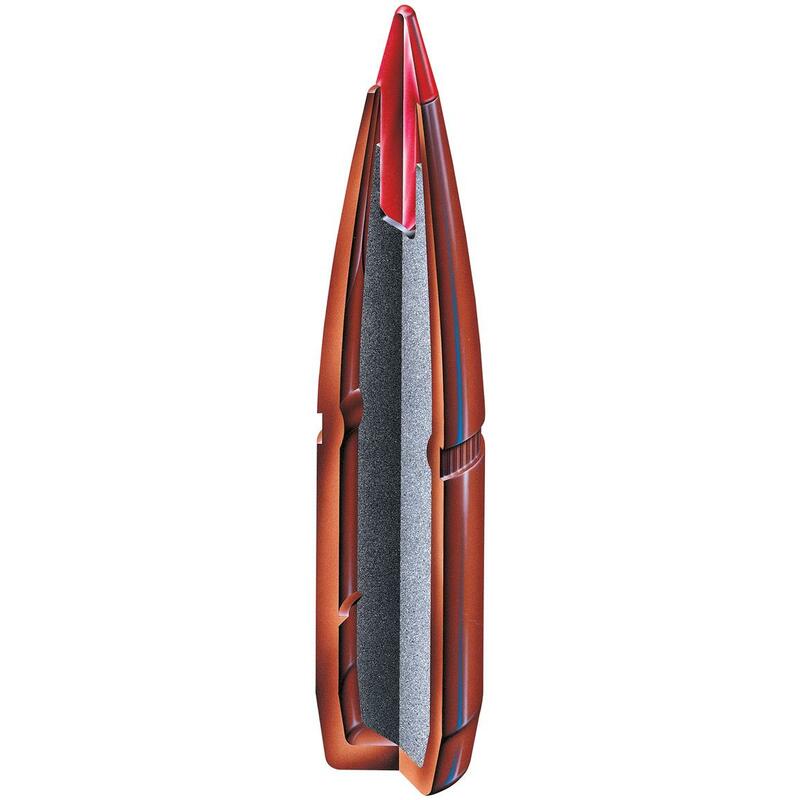 You will flinch less and enjoy practicing with this reduced recoil ammo. Match-grade long-range accuracy for deer, elk and moose.